FREEFORMING | connecting through movement, voice and touch. It enables me to improvise and trust the process. I just felt alive. M.T. I really enjoyed it… expression, intuition, sensitivity and presence… a great workout to boot. M.W. We can all feel isolated at times. Freeforming opens fresh ways to connect. 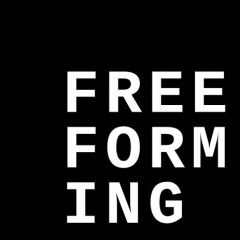 Freeforming is an embodied relational mindfulness practice that integrates elements of Gestalt therapy, Zen, Aikido and the improvisatory arts. Clothing is a loose long trousers and long sleeved tops and bare feet. Contact me for further information and to book a session. Practice today was wonderful. Yes, exactly, ”wonder” ”full”. Thanks for publishing your exciting evolution! So often our human poetics are overlooked. And , even sometimes, they are criticized or ridiculed as ineffective. But it takes an amazing sense of structure to compose the most fluid of poems. Poetics are what connects our spirits and reminds us of our true nature; living vessels of god’s grace. Freeform aikido looks to be an amazing amalgam of structure and fluidity. And if the 100th monkey theory has any weight, Kimusubi is the direction my dojo’s have been moving in too! Someday we’ll dance together in the same room. For now, let’s dance together in spirit.